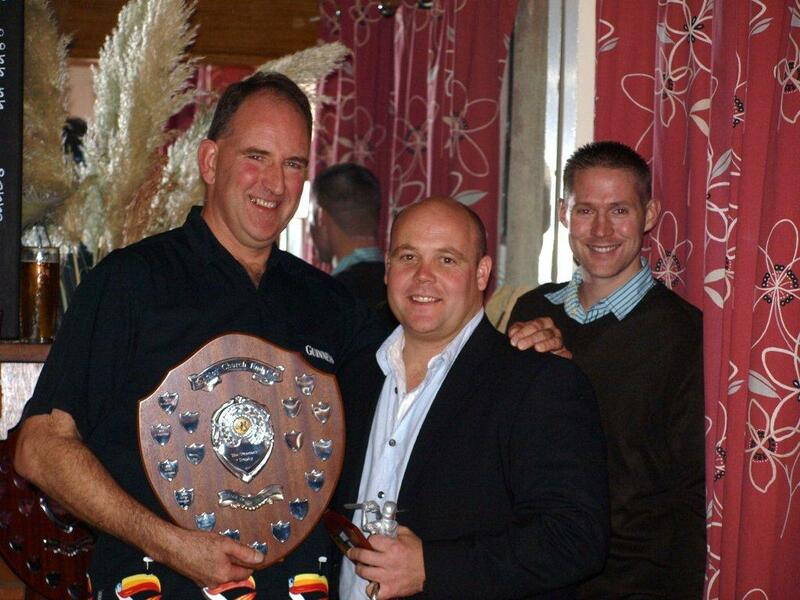 Once again Shenley members and their guests step up to the plate for anything involving food and beer. 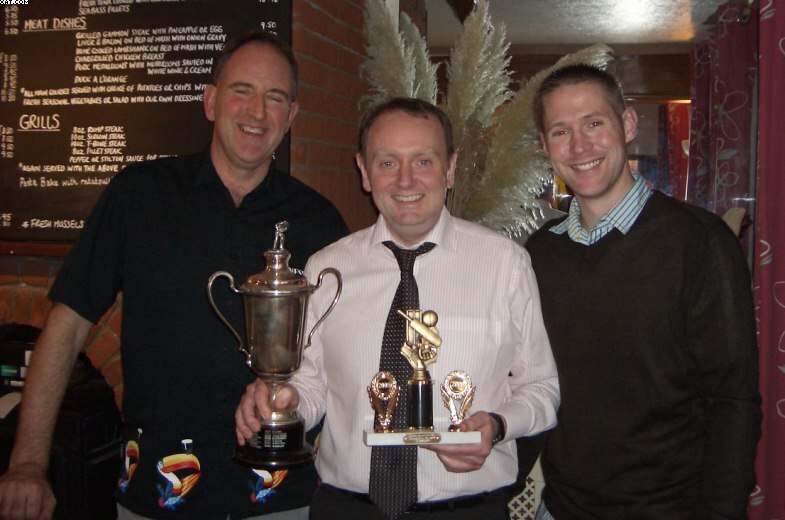 An excellent turn out at the Olde Red Lion at Great Brickhill gave SCECC players a chance to recognise their fellow practitioners efforts both on and off the field during 2009 at the club's Presentation Evening. Chairman, Ian Peacock, was MC for the evening in the absence of our esteemed president Mick Holman. The evening began with the boys (and ladies) tucking into the usual selection of lagers and ales on offer whilst food orders were prepared. 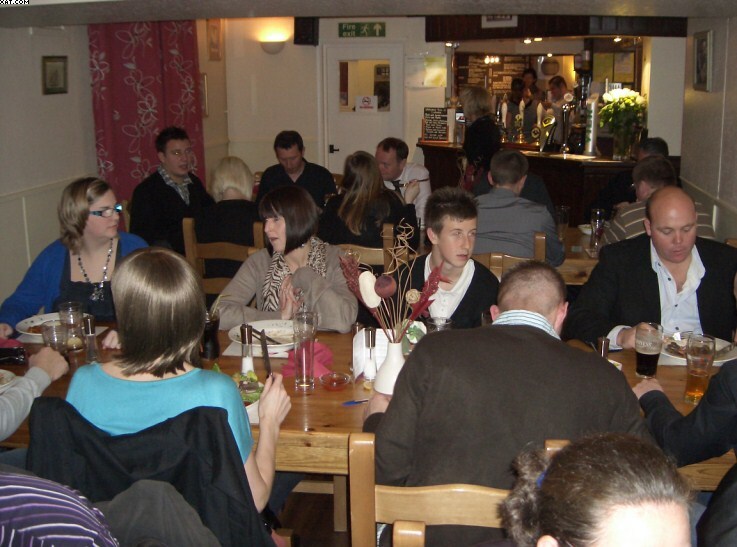 Anything from luscious Pies to Steak to Lasagne were consumed and well enjoyed - all before the Presentations started. 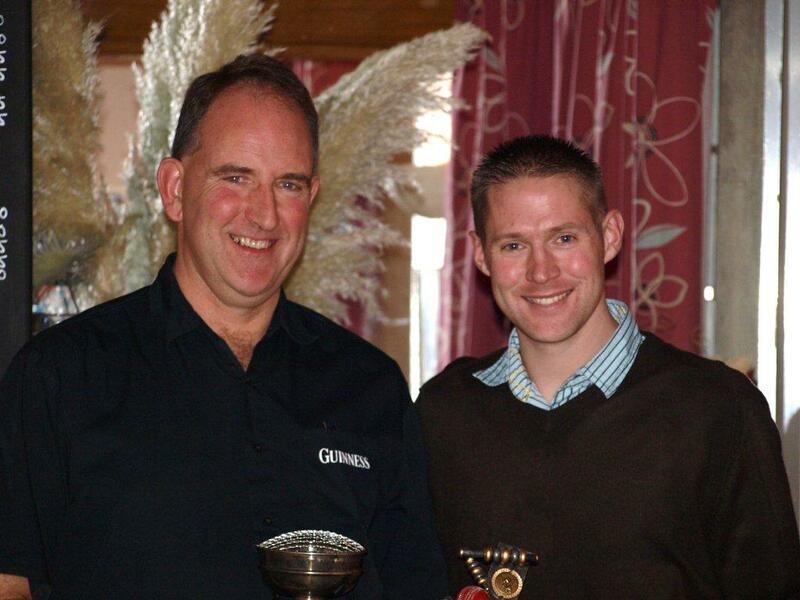 Peter Bearman trophy (Most Improved Player) - Rob Hatcher who really came on this year with his performances in batting, bowling and fielding. He shone on tour with his all round off field 'bad boyness' ! Clubman's trophy - David Morley for getting a real grip with the midweek 'challenges' (both on and off the field) and his stunning tour debut as the bear with the mankini! 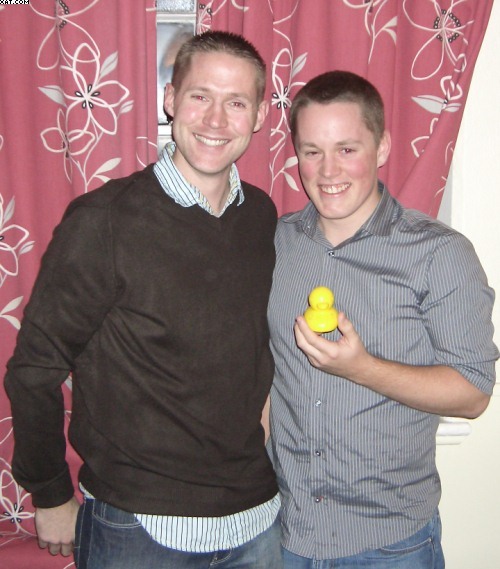 Rubber Duck - for most ducks - went to Mike Camwell! 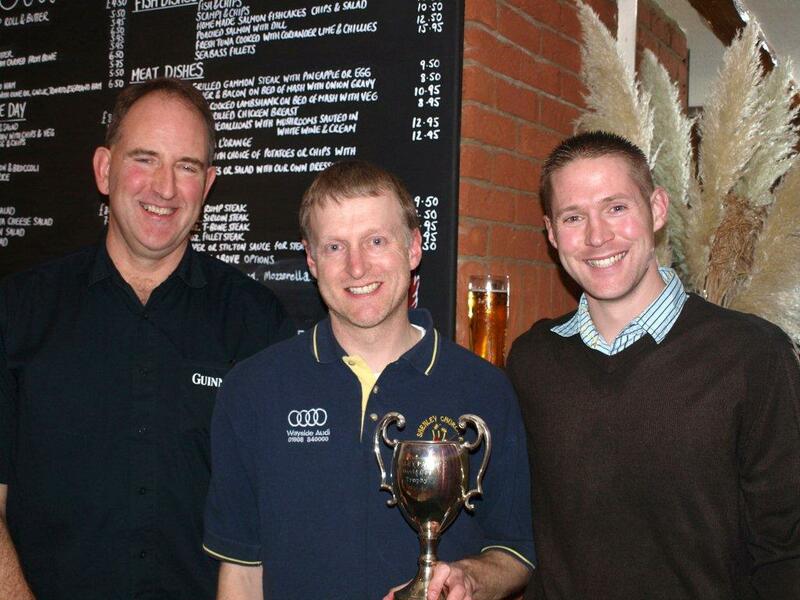 Our esteemed guest was Alan Smith from Bletchley Town CC who is our star groundsman. Not only was he recognised nationally by the Institute of Groundsmen but he provides the pitches to ply our trade on every weekend. Without him, and his often unsung efforts, we would not have the opportunity to enjoy our cricket escapism. Thank you Alan from all of the club. The raffle was generously supported by club members again, thank you everyone. The highlight being Kieran Burke winning the full size poster of Tess Daly, apparently destined for his bedroom ceiling!! The Old Red Lion kindly donated a meal for two which was snapped up by Morley to take his bear on a date .............. I am assured that the ' no tongues on first date' rule applies. Finally our thanks to Martina (and Tony) from the Olde Red Lion for providing a splendid service and making our evening successful. Oops - nearly forgot. Boris distributed his, now nationally famous, Stattos Delight. The players were besotted and studied the books for hours. The ladies were stunned and wished they all had copies too ............... Thanks for coming along and supporting us - hope to see everyone again soon.